1 - The US economy cannot recover under free-trade with a permanent trade deficit. 2 - Our trade is financing the rise of an aggressive Chinese military. 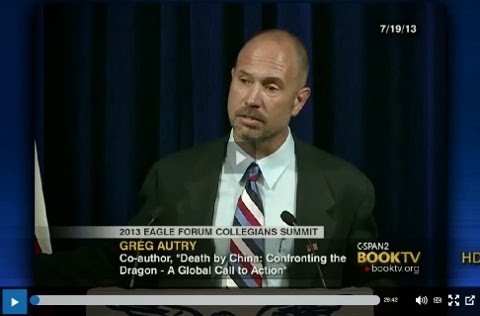 In this second video Autry speaks (starting at 5:50) at a Cyber Warfare Hearing. Here's a clip from the C-SPAN Video on the trade deficit.